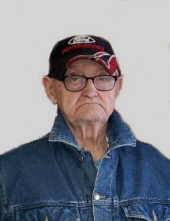 Richard K. O’Rourke, age 82 of Monroe, WI formerly of Argyle, WI passed away Friday, January 4, 2019 at Amery Health Clinic in Amery,WI. He was born August 3, 1936 in Monroe, WI the son of Joseph and Helen (Lunda) O’Rourke. Richard grew up in Argyle and lived there until joining the United States Army in 1956. He was honorably discharged in 1958 and returned to Southwest Wisconsin where he farmed until 1982 when he moved to Monroe, WI. Richard began driving truck in 1992 until retiring in 2012. Richard is survived by his children: Robert O’Rourke of Monroe WI, Ronald O’Rourke of Ft. Worth, TX, Brian (Jodi) O”Rourke of Belleville, WI, Shawn O’Rourke of Monroe, WI and Shannon (Ruthie) O’Rourke of Fitchburg, WI; 9 grandchildren; Bradly Schwartzlow, Miranda, Kalin, Caden, Abram, Anjali, Kerala, Bodhi, Theodore, O’Rourke 1 great-grandchild; Shade Schwartzlow; his brother Charles (Linda) O’Rourke of Rockford, IL; and his sister: Patricia Dobbs of Jefferson, WI. He was preceded in death by his parents; a sister: Donna Rutz in 2016; and two brothers-in-law: Elmer Dobbs and Robert Rutz. Richard enjoyed fishing, watching NASCAR, and always cheered on the Wisconsin Badgers and Green Bay Packers. He cherished the time he spent with his family, especially his grandchildren creating memories they will all remember forever. Richard will be sadly missed and fondly remembered by his family and friends. A visitation will be held Wednesday, January 9, 2019 from 5:00 P.M. until 7:00 P.M. at Erickson Funeral Home (801 E. Milwaukee Street, Argyle) Online condolences may be expressed to the family at www.ericksonfuneralhome.com. For those who prefer, a memorial fund has been established in Richard’s name. To send flowers or a remembrance gift to the family of Richard K. O'Rourke, please visit our Tribute Store. "Email Address" would like to share the life celebration of Richard K. O'Rourke. Click on the "link" to go to share a favorite memory or leave a condolence message for the family.